People love free stuff. Ever seen lines for the samples at Costco on the weekend? People will actually stand in line for a bite of something they (a) don’t even know what it is, (b) don’t like whatever kind of food it is, (c) would never buy the item – but because, hey, it’s free, so let’s go get some! Same thing at a trade show – and why it’s not a great idea to put candy on your table at a book signing. You want people to stop by your booth/table because they have an interest in talking to you about your book or business – not because they’re making a beeline for the candy dish only to grab a piece like a frog after a fly and then flee as quickly as possible, on to the next bowl of free sugar. Give them something straight from your website as a bonus for buying your book. Come on, people. You wrote these books, didn’t you? You can come up with something creative, fun, and exciting to give shoppers just that little extra nudge. I know you can. Things get a bit more challenging if you’re selling through an online retailer or site other than your own, but it’s not by any means impossible. Just request that each buyer forward you a copy of their receipt. The best thing about this whole idea is that they’re no longer anonymous. It give you access to them and their email address … so you can begin a relationship with them. The meatier your giveaway, the more likely they’ll be to take this extra step with you. We already dismantled the fear of giving stuff away in our Day 3 Advent Calendar post, so in case you missed it … here’s the link. As you may know, I am taking part in the Holiday Author Event for the next 6 days. PLEASE BE SURE to stop by the Holiday Author Event page TODAY to view some of our authors’ video book trailers. Comment, like, and share to be entered in today’s drawing! OK – seeing as Cyber Monday has passed, this will be one you tuck away in reserve for the 2016 holiday season. Not only did it pass, but sales were up by 25 percent over Cyber Monday 2014, hitting $3 billion+, worldwide. That’s a lot of people buying a lot of stuff online. Which, as an author, is where you are probably spending a lot of your time looking for sales. So lately for me it’s been a lot of F. Scott, Hemingway, and Steinbeck. All great books – I can’t pick a favorite. It’s kind of like comparing The Beatles and The Stones, in that both are superior in different ways. Although Steinbeck would be more like Springsteen. He takes characters that F. Scott and Hemingway wouldn’t even think about and turns them into poetry. That, at least, is my literary analysis which serves me well in my vocation as a plumber. So it follows that I very much enjoy face-to-face bookselling opportunities. But I’m also a pretty savvy marketer, so I know that you have the opportunity to reach exponentially more readers by focusing on Internet sales than you do by spending hours on end trying to cobble together a brick-and-mortar book tour. In reality, this isn’t an either/or situation – a smart author will do both. But put head-to-head, the Internet market is just bigger than the meet-people-in-person market unless you have the vast resources and unending energy to do a very long book tour. So, if Cyber Monday sales were up 25% over last year, what will they do next year? Well, the trend says they’re going to keep increasing. So it will be the perfect time for you to get in on the game, right? One of the best ways to do that if you’re not a particularly well-known author is by offering a special holiday discount on your books. Mark one book down with a low price, or create a special bundle of books you don’t normally sell together. Much like the alleged advantages of enrolling in the KDP Select program (I hear good things and bad things about it, so DO YOUR DUE DILIGENCE), a markdown probably works best as a means of promoting your most current title OR promoting one specific book, with the goal of introducing your work to new readers. Then, because you’ve written such an amazing story or offered such fantastically helpful advice, those readers will (a) want to buy your next book, and/or (b) gleefully tell all their reader friends about your book. A reduced price when you’ve only got one book for sale can work, so long as the low price is low enough to incentivize buying while being high enough for you to make money without having to sell too many more books. Read this most excellent blog post about Cyber Monday by marketing expert Jeff Goins. He loathes Black Friday but has some great ideas for places to invest in yourself as a writer. I will offer a $5 rebate on any ebook in the Holiday Author Event bookstore that you purchase between now and Christmas 2015, provided you put MARCIE BROCK in the comments area. NOTE: This offer is exclusive to EEEEEbooks. As you may know, I am taking part in the Holiday Author Event for the next 6 days. PLEASE BE SURE to stop by the Holiday Author Event page tomorrow to view some of our authors’ video book trailers. Comment, like, and share to be entered in today’s drawing! If you’re selling books through a brick-and-mortar store, through Amazon, or any other online distribution channel, it probably works like this: you agree on a percent of royalties; you provide copies of your book; the store/website makes your products available; you make the occasional sale; and down the road somewhere, you receive a royalty check. It’s all very anonymous, and you never get to know who bought your book so that you can thank them or contact them or create any sort of a relationship with them. This is a flaw in the current book-selling system. A book is a product, but most of them are not commodities like a pair of shoes or snow tires manufactured in a factory by a nameless person or a machine. A book has an author, an originator, a creator who put his/her thoughts down on paper to share with the end user, the reader. To that end, shouldn’t the idea creator be able to connect with the idea receiver? Offer to give something away that requires the receiver to give you a physical mailing address. I can hear the groaning from here. That means I’d have to mail them something! Are you crazy? Postage is through the roof! Yep – postage costs more than sending an email through MailChimp (free for the first 12,000 messages each month). And guess what? The return is bigger. This is the chance to start a relationship that could lead to … a raving fan who will eagerly anticipate your next book and be more than willing to tell others about it, before it’s even published. Worth the $3-$5 in postage you spent? You do the math. Keep these things in mind before you brush off this idea as crazy. You can limit your giveaway to the first however many takers your budget can accommodate. You can offset the cost – if it will really make that much of a difference to whether you do it or not – by asking your readers to pay a nominal shipping fee to receive the “gift.” Of course, asking for $3 makes it less gifty, so consider whether you really want to go this route. Not that many people are going to take you up on the offer anyway, because they’re busy, it’s extra effort, and it requires them to give up something personal and private. My forthcoming novel is about a guy who travels around the world. I could give away globe pencil sharpeners. Just $8.99/dozen from Oriental Trading. Since it’s the holiday season, I could also give away SNOWglobe pencil sharpeners. These are on sale for just $7.98/dozen. Fitness author? How about a personalized pedometer. You can get them for a couple bucks each. Cookbook author? Why not send a small sampler (literally a pinch of each) of your favorite spices? So use some common sense and don’t send saffron, right? Book about Fido? Dog treats are always a welcome gift for pet owner readers. Patriotic theme? There are probably a thousand places to buy flags in bulk online. Fiction should be easy – find a doll or toy that represents your character or setting. Safari Ltd. has a “Knights and Dragons” bulk bag, with 42 pieces for about a buck apiece. Need more help? 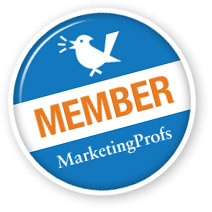 My friend Helen Goldman is an expert in the promotional products business. She can help you find the perfect gift to match your theme and more than likely keep it within your budged. Contact her through her website, Primo Products. Think about all the bills and boring stuff you get, when you still get mail. Wouldn’t it be fun to receive something extra, a bonus or gift from a writer you love? Well, one of the only ways you can do this in today’s marketing climate is by asking for the mailing address and giving away a bit of the surprise. The payoff can still be quite rewarding. Read more on the value of “lumpy mail” in small business marketing from direct expert, Dan Kennedy. As you may know, I am taking part in the Holiday Author Event for the next 9 days. PLEASE BE SURE to stop by the Holiday Author Event page today to read the blog posts from a some of our other authors. Great stuff – and you will be entered in today’s drawing for every comment/share/like you make on the posts! Happy mailing and blog hopping to you! Spiritual books, business books, self-improvement books. If you’re a nonfiction fan or have book lovers on your shopping list, you’ll want to be with us THIS coming Saturday, Dec. 6th, as the inaugural Holiday Author Event takes place at The Pressroom (441 W. Madison Street, Phoenix 85003). More than 60 local authors will come together in one place for a fantastic book signing/meet-and-greet event that promises to delight every sort of book lover. Genres range from all manner of fiction to spiritual works, children’s books, business books, personal development books, and everything in between. Join us from 10 a.m. to 4 p.m. We’ll have giveaways from the authors on the half-hour! Today, we have another guest post from one of the HAE’s participating authors. 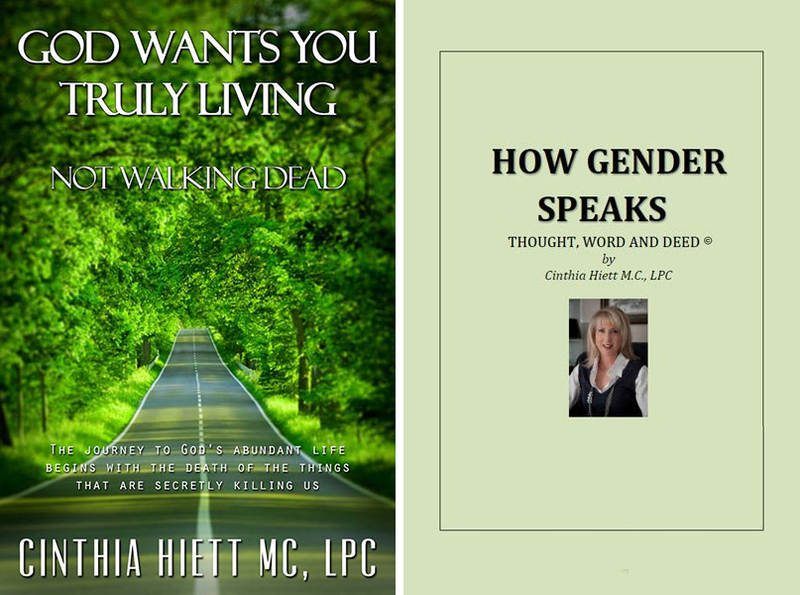 CINTHIA HIETT is the author of the God Wants You Truly Living Not Walking Dead. If you’re in the Phoenix area, please be sure to come by on Saturday to meet Cinthia, chat with her up close and personal, and learn about her forthcoming book, Can Fairy Tales Be Real? Paganini, the great violinist, came out in front of his audience ready to perform, only to find that his most treasured and priceless violin had been stolen and replaced by a secondhand version. Momentarily paralyzed, feeling he would not be able to perform and subsequently would embarrass, shame, and disappoint all who were waiting to hear him play, he paused and then addressed the audience saying: “Ladies and Gentlemen, I will show you that the music is not in the instrument but in the soul!” He then played as he had never before, bringing such authentic, inspired, rapturous music to the audience that the applause almost lifted the ceiling from its very foundations. The man had revealed that the music was not in the machine, but in his very soul. It is your destiny and your calling to walk your life out onto the stage of your world. To reveal to all of heaven and earth and everyone in them that your music is not bound by your conditions, your trials, your mistakes nor whatever internal or external forces may come against you; the music of your life is in your very own soul (Adapted/inspired by “Streams in the Desert, September 28th). Your earthly machine may seem worn and secondhand (that being your human composition now on earth), but your soul is infused with the spirit of the living God which will enable you to produce beautiful and rapturous music never heard before and only able to be performed by you. Let me play you and reveal to the world the glorious music of your soul. 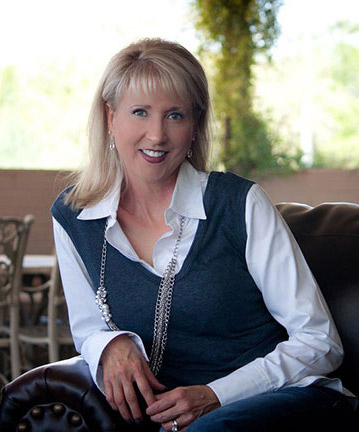 Cinthia Hiett is an internationally recognized motivational speaker, relationship expert and licensed psychotherapist in private practice with offices in both Phoenix and Scottsdale. As a captivating communicator, Cinthia engages, energizes and inspires her audiences to become all God created them to be. In private practice for more than 20 years, Cinthia specializes in speaking to corporate and religious groups worldwide on gender differences, the key to successful relationships, and successfully overcoming life challenges. She is an adjunct professor at Arizona Christian University where she taught a course titled “The Psychology of Religion.” She recently published the inspiring and highly regarded book, God Wants You Truly Living Not Walking Dead, which is available on Amazon and Kindle. Her forthcoming book, Can Fairy Tales Be Real?, is set to publish in early Spring 2015. You can obtain the first chapter on her website: cinthiahiett.com. Cinthia is also a recording and performance artist who provides encouraging and inspiring worship music to audiences at her home church, as well as to couples, pastors, men’s and women’s retreats, and similar venues where she may also be speaking. She has appeared on radio and television as a relationship expert and currently hosts two radio shows. Her show “Conversations with Cinthia” streams over the Internet on Blog Talk Radio, or you can listen locally [in the Phoenix area] on Faith Talk Radio AM1360 on Sunday afternoons at 4 p.m. Find Cinthia on Facebook, Twitter, Pinterest, and LinkedIn. Cinthia is available as a keynote or guest speaker for corporate or spiritual events. Please call 602.391.6955 for availability. PHOENIX-AREA BOOK LOVERS: Come out to meet me and 60+ other local authors for this one-of-a-kind book lovers’ event. Several first-time authors, award-winning authors, and authors of a wide variety of genres will be on hand to sell and sign books. Genres of all sorts – from fiction to spirituality to leadership to personal finance. The first 200 attendees to register will receive goody bags! Book giveaways on the half-hour! Learn more and get your complimentary ticket at HolidayAuthorEvent.com. Westerns, heroines, magic, monsters, and mayhem. If you’re a fiction fan or have book lovers on your shopping list, you’ll want to be with us THIS coming Saturday, Dec. 6th, as the inaugural Holiday Author Event takes place at The Pressroom (441 W. Madison Street, Phoenix 85003). More than 60 local authors will come together in one place for a fantastic book signing/meet-and-greet event that promises to delight every sort of book lover. Genres range from all manner of fiction to spiritual works, children’s books, business books, personal development books, and everything in between. Join us from 10 a.m. to 4 p.m. We’ll have giveaways from the authors on the half-hour! 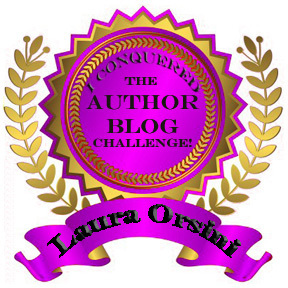 Today, we are very pleased to have a guest post from one of the HAE’s participating authors. 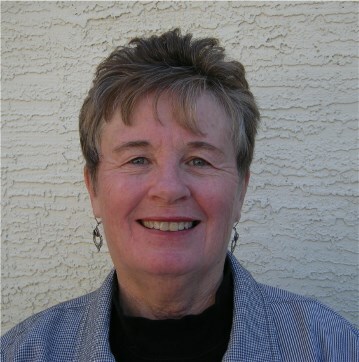 CK THOMAS is the author of the Arrowstar series. If you’re in the Phoenix area, please be sure to come by on Saturday to meet C.K., chat with her up close and personal, and pick up her latest book! Arrowstar, Charade, and The Storm Women comprise the first three books of the Arrowstar Series written by yours truly, C.K. Thomas. My excitement for writing novels stems from my childhood, when reading the Nancy Drew books written by Carolyn Keene approached a craze akin to collecting and trading baseball cards. Nancy inspired me to long for adventure and showed me possibilities beyond the standard fare being served to girls in 1950s America. Writing in diaries and sending in poems and stories to teen magazines set me on a path toward making writing a part of my life in one way or another. I worshiped the name Carolyn Keene and felt betrayed when I learned that she wasn’t a real author, but a group of writers hired to write the series. Far larger betrayals followed me into adult life and made me long to uncover the myths about love, marriage, and work that women of the 50s and 60s swallowed and believed with all their might. Ultimately I came to believe my writing mission constituted connecting with women who longed to break out of the stereotypical roles of womanhood and live life according to their own individual passions. Join the Adventure … Read the Arrowstar Series. Honor Bound became my first attempt at writing a novel. A copyeditor and a photo librarian, both co-workers at Phoenix Newspapers, mentored me throughout that first writing process. Debut novels often lean toward the autobiographical, even with a boat-load of fiction thrown into the mix, and mine followed along those lines as well. There seem to be a myriad of burning topics swimming around in a novice author’s head just waiting for their first opportunity at expression. Once those thoughts receive the attention they’ve been craving, an author – at least this author – feels free to pursue the wider depths of imagination longing for discovery. In those depths of imagination I found a long-buried passion for the Wild West that morphed into the creation of the small Arizona mining town of Mineral City, located somewhere in the ranching and agricultural region near Willcox. From this backdrop rich in old mining claims, ghost towns, fruit orchards, and ranchland emerged the personalities of Star, Kat, Ricki, Carla, Dusky, and Margaretta, all women in search of their own particular passions and adventures. These women and the other characters of Arrowstar have become my closest friends and companions in search of what makes us who we are as Wild West women. I’d love to introduce you to these plucky and intelligent women when we meet at the Holiday Author Event on Saturday, December 6th in Phoenix. When you stop by, be sure to drop your name and email address into the pot to win all three books in the Arrowstar Trilogy. I’ll be happy to tell you about the next book in the series, to be published in 2015, A Train Robber’s Tale. I’m looking forward to meeting you and learning all about the kinds of books that inspire and entertain you. CK Thomas, author of the Arrowstar series . Purchase her books at Barnes & Noble.com, Amazon, and Smashwords (ebook versions). 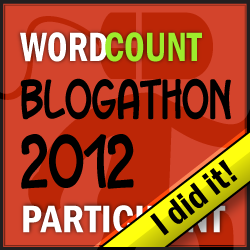 Follow CK Thomas’ blog: We-Tired and Writing Blog.